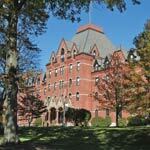 A Dean College enrollment coach will work with you to create an education plan to help you achieve your career goals. Work one-on-one with a professional enrollment coach & academic counselor. ⇒ Part-time degree & certificate programs. ⇒ Weeknight, online, weekend & accelerated class options. ⇒ Increase your earning potential, or set yourself up for a career change. ⇒ Finish what you started, start a new degree program, or take one class at a time. ⇒ Set yourself up for success, both personally & professionally. My college credits are older, will they count towards a Dean College degree or certificate? Will I feel comfortable returning to school part-time for continuing education? 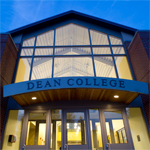 What can I expect as a part-time student at Dean College? What sort of financial aid opportunities do you offer? I have a busy schedule, what sort of class formats do you offer? I think my employer offers tuition reimbursement, should I take classes at Dean? How would I go about tuition reimbursement? What are my career opportunities with a degree or certificate? 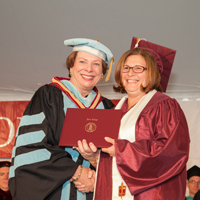 Dean College academic advisors work one-on-one with prospective and current students throughout the entire process. Simply fill out the form on this page & indicate your preferred contact method (phone, email, text). Contact a School of Continuing Studies Academic Advisor Today!